Today, we have listed five best tourist places in Delhi which you can’t ignore in your Delhi visit. There are not just traditional or old places we also include some great fun places also to make your trip excellent. 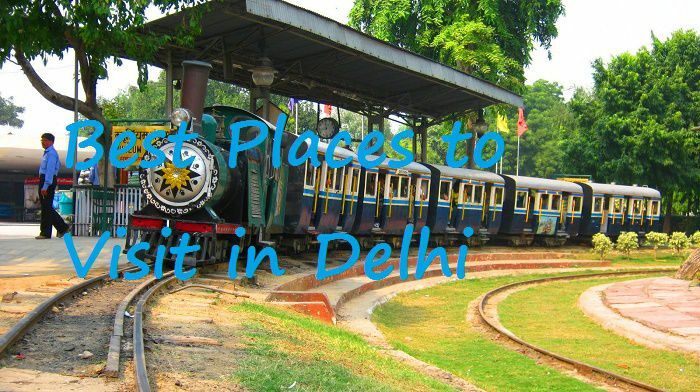 So, without wasting any more time check out these 5 best places to visit in Delhi. Akshardham or Swaminarayan Akshardham complex is a Hindu Mandir, and a spiritual-cultural campus in New Delhi, India. It’s a modern temple with lots of beautiful things including water show. You can find more information on Akshardham website. Adventure Island is a great fun place with lots of rides and shows. Some rides scare you to the next level. It is located in Rohini, Delhi near Rithala Metro station. You can find more information on www.adventureisland.in. It designated a protected monument by the Archaeological Survey of India under the Ancient Monuments and Archaeological Sites and Remains Act of 1958. It is also known for its haunting nature, some people hear horror sounds here at the evening time. You must include this in your list. Find more info on agarsenkibaoli.com about its history and visit. As the name states its a rail museum, you may visit this if you interest in such things. It’s a nice place to visit in Delhi. These are the 5 Delhi tourist places which you can’t ignore if you are on Delhi Trip. You can include these tourist places with other famous places and visit them. If you have any query you can comment below or serch from the sidebar.